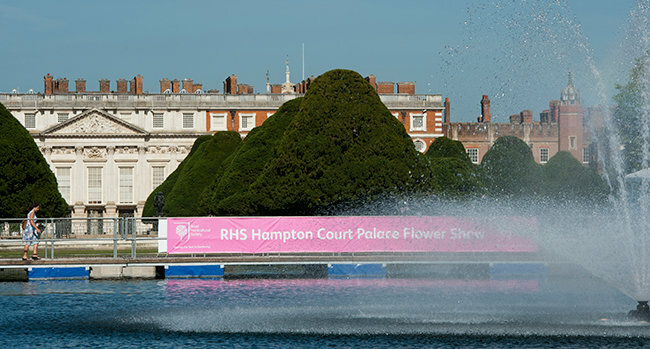 We have once again joined forces with Tony Smith of Hortus Infinitus to create a Show Feature for the RHS at this year's Hampton Court Palace Flower Show. We were extremely proud to win a Gold Medal at last year's show with our Show Garden 'Why? ', designed and built by Tony. Hampton Court Palace Flower Show is the world’s largest annual flower show and takes place from 4th July to 9th July 2017. For further details click here. We have a pair of tickets to the show valid on Saturday 8th July 2017, to give away to the first correct entry drawn at random in our word search competition. 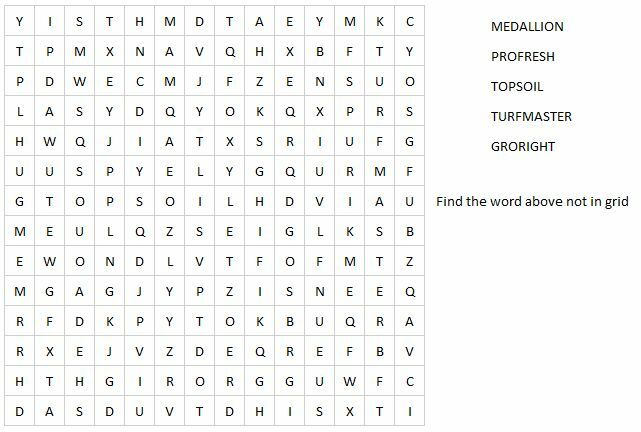 To enter, complete the word search and enter the missing word and your contact details in the form below before the closing date of midnight on Sunday 25th June 2017. A pair of tickets will be awarded to the first correct entry drawn on 26th June 2017. The competition has now closed. Sign up to our newsletter, or follow us on Facebook and Twitter to receive updates about future competitions. 1. The prize is a pair of tickets to RHS Hampton Court Palace Flower Show 2017 worth £32.50 per ticket valid on Saturday 8th July only. 2. There is no cash alternative. 3. The prize does not include travel to or from the event, parking, food and drink or any other costs. 4. The competition is open to all UK residents aged 18 and over (excluding employees, associates and their families of Rolawn Limited, the prize suppliers or any promotional agencies involved). 5. Entries to this competition may be made online or by telephoning 01904 757372 only - no postal entries will be accepted. 6. Only one entry per purchase will be permitted. Duplicates will not be counted. 7. No purchase necessary. 8. The competition closes at midnight on 25th June 2017. 9. The draw will be held on 26th June 2017 and the first correct entry drawn will be deemed the winners. 10. The winners will be contacted by telephone or email by 27th June 2017. Should we be unable to contact the winner or should the winner be unable to accept the prize, we reserve the right to award the prize to an alternative winner, drawn in accordance with these terms & conditions. 11. The decision of the judge is final and no correspondence will be entered into. 12. Entry into this competition implies acceptance of these rules.